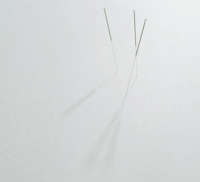 ACUPUNCTURE Fine, single-use, disposable needles are inserted into the skin at specific locations known as acupoints on the body in order to achieve a therapeutic effect and influence the energies and balance of the body. 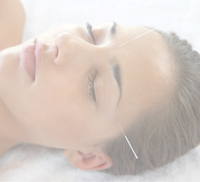 Acupuncture may promote well being and bring harmony to the person. measure. 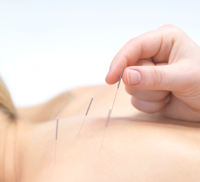 In more recent years, the benefits and effectiveness of Acupuncture has been endorsed by scientific research. The World Health Organization (WHO) recognizes 40 conditions that respond to acupuncture care, including hypertension, digestive disorders, respiratory disorders, allergies, chronic fatigue, pre-menstrual syndrome, nicotine and drug addiction, alcoholism, sexual dysfunction, stress disorders and depression. •Pain associated with osteoarthritis of the knee. CHINESE TUINA THERAPY is a Remedial Chinese Massage treatment and its method is associated with acupoints and meridians. Various massage techniques are used to stimulate the body in order to bring harmony and balance to the body systems, balance yin and yang and eliminate pathogenic factors. It is based on the same principles as acupuncture but the treatment does not involve the use of needles; pressure is applied to particular points on the body relating to the meridian pathways.